In celebration of International Women's Day, we want to take a moment to reflect on the lives of three influential women during and beyond the Roosevelt era. These women - Frances Perkins, Marian Anderson, and Eleanor Roosevelt - were trailblazers in their own right and we are excited to celebrate their achievements. Frances Perkins served as the US Secretary of Labor from 1933 to 1945 and was the first woman appointed to the US Cabinet. 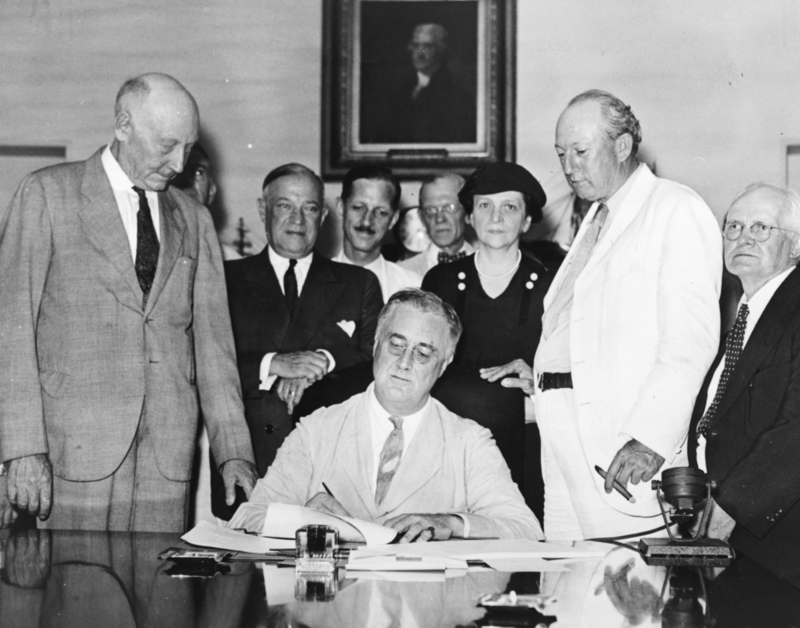 Perkins was a strong supporter of FDR's New Deal, and helped usher in the Social Security Act. She also drafted the Fair Labor Standards bill which passed into law on June 25, 1938. As Perkins later wrote, FDR "insisted upon holding me responsible and thanking me personally in very appreciative terms.” Learn more about "Madame Secretary," as she was called by the press, here. Marian Anderson was a celebrated African-American contralto who rose to fame in the 1930s. In 1939, the Daughters of the American Revolution (DAR) refused to let her - a black artist - perform for an integrated audience at Constitution Hall in Washington, DC. In protest of their decision, Eleanor Roosevelt and other influential women, resigned from DAR, and the First Lady made her sentiments widely known. Through the perseverance of Anderson, Roosevelt, NAACP, and others, eventually a concert location was secured and Marian Anderson sang to a crowd of 75,000 at the Lincoln Memorial. It was a monumental event with a lasting impact on race relations and politics in America. Listen to her perform here, then read the full story here. Activist, diplomat, and politician, Eleanor Roosevelt not only transformed the role of the First Lady, but became a beloved advocate for those in need. From her tireless support of New Deal initiatives to her eight-year tenure as a delegate to the UN, Roosevelt's influence continues to affect us today. Her championship of human rights led to the creation of one of the most important documents of the 20th century: the Universal Declaration of Rights. Read more about her fascinating history here. We look forward to honoring women for International Women's Month and will continue to feature stories about women on our blog this month. Older PostHappy Birthday, President Roosevelt!